Bikes are not just our business; they are our passion. Our goal is to help you find your dream bike that you can enjoy for many years to come. Already have a bike? No problem, we are staffed to meet all of your bike repair needs. From tuneups to major overhauls, road, mountain, or cruiser bikes, there's nothing we haven't seen. 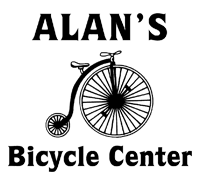 Alan's Bicycle Center has been in business since December of 1986 and we can fix any bike you bring us, so go ahead, try us! We even work on wheel chairs. Our store is stocked with only the best brands in the biking industry and quality equipment that will keep you safe and enjoying your ride. We carry a wide assortment of accessories as well from wireless cadence computers and clip in pedals to bells and mirrors. If you can dream it we likely have it. We keep a large inventory of saddles, baskets, helmets, pumps, fenders, pedals, gloves, jerseys...the list goes on and on. It’s time you discovered the joy of bike riding. 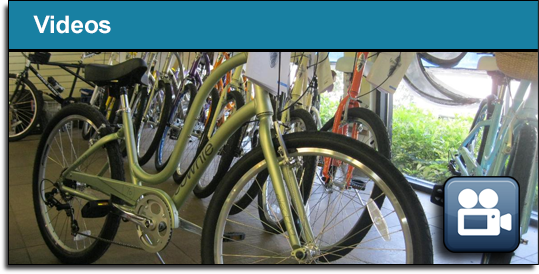 Visit Alan’s Bicycle Center today for the best selection of biking essentials in Vero Beach and Sebastian, FL as well as all of Indian River County and the surrounding counties. For our location and contact information, click here.